In In re Magnum Tools International, Ltd., [2015-1300] (July 25, 2016) the Federal Circuit reverse the PTAB’s determination that the challenged claims U.S. Patent No. 8,079,413 were invalid for obviousness. difference between the standards of proof at institution and trial during an IPR, it is inappropriate to shift the burden to the patentee after institution to prove that the patent is patentable. proving unpatentability after institution, and must do so by a preponderance of the evidence at trial. See 35 U.S.C. 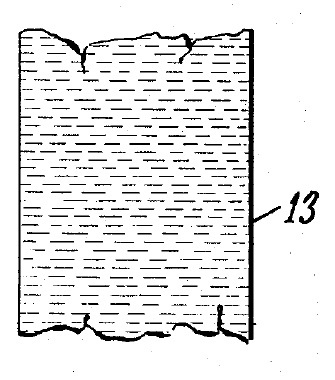 § 316(e). The Board has an obligation to assess the question anew after trial based on the totality of the record. The patent owner argued that petitioner failed to establish a motivation to combine, pointing out that the Petition was based on a different reference than relied upon in the institution decision. The Federal Circuit rejected the PTO’s position that this should have been challenged with a request for rehearing of the institution decision, holding that the patent owner can challenge a final Board opinion relying on the same rationale given in the institution decision. The Federal Circuit agreed with the patent owner that the Board improperly shifted the burden to the patent owner to prove nonobviousness. To satisfy its burden of proving obviousness, a petitioner cannot employ mere conclusory statements. The petitioner must instead articulate specific reasoning, based on evidence of record, to support the legal conclusion of obviousness. Finding that the petitioner failed to separately meet its burden of establishing obviousness, the Federal Circuit reversed. The Federal Circuit went on to reject the USPTO’s position that the Board is free to adopt arguments on behalf of petitioners that could have been, but were not, raised by the petitioner during an IPR. Instead, the Board must base its decision on arguments that were advanced by a party, and to which the opposing party was given a chance to respond. The Federal Circuit said that while the PTO has broad authority to establish procedures for revisiting earlier-granted patents in IPRs, that authority is not so broad that it allows the PTO to raise, address, and decide unpatentability theories never presented by the petitioner and not supported by record evidence. On July 18, 1933, U.S. Patent No. 1,918,848 issued to Edwin H. Land on Polarizing Refracting Bodies. 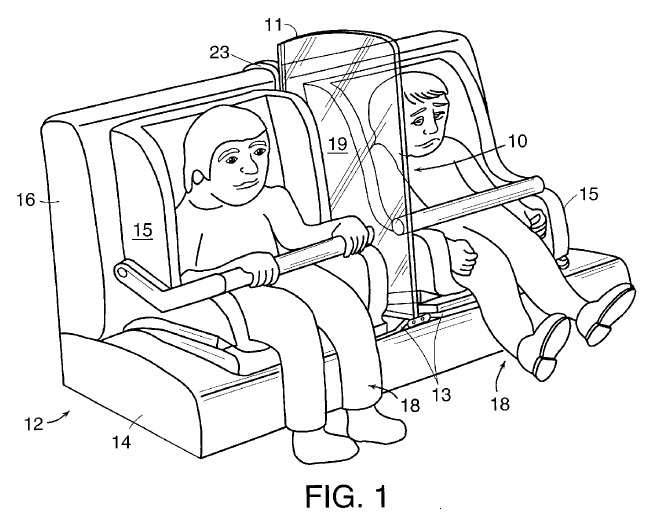 On July 17, 2001, U.S. Patent No. 6,260,903 issued to Christian von der Heyde on a Portable Automobile Partition. Just in time for summer road trips. 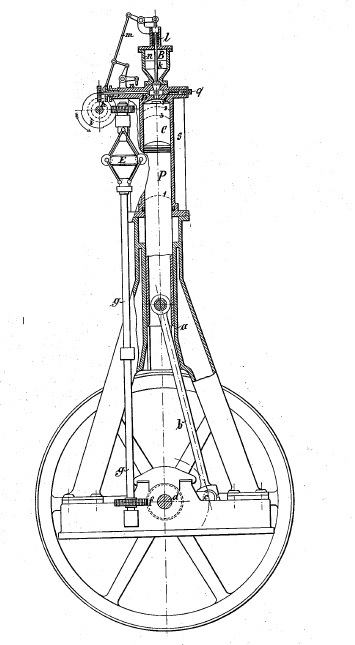 On July 16, 1895, U.S. Patent No. 542,846 issued to Rudolf Diesel on his Method of and Apparatus for Converting Heat into Work (the Diesel Engine. In SkyHawke Technologies, LLC v, Deca International Corp., [2016-1325, 2016,1326] (July 15, 2015), the Federal Circuit granted Deca’s motion to dismiss SkyHawke’s appeal of a PTAB Decision in a reexamination on the grounds that SkwHawke was the prevailing party. Even though SkyHawke “won” the reexamination, SkyHawke did not like the PTAB’s construction of its claim, and wanted the Federal Circuit to correct the PTABs’ claim construction. The Federal Circuit observed that Courts of appeals employ a prudential rule that the prevailing party in a lower tribunal cannot ordinarily seek relief in the appellate court. Even if the prevailing party alleges some adverse impact from the lower tribunal’s opinions or rulings leading to an ultimately favorable judgment, the matter is generally not proper for review. The Federal Circuit found that SkyHawke’s appeal fits cleanly into this prudential prohibition. The Federal Circuit noted that the PTAB’s decision is not issue-preclusive precisely because SkyHawke cannot appeal it. The Federal Circuit said that SkyHawke will have the opportunity to argue its preferred claim construction to the district court, and SkyHawke can appeal an unfavorable claim construction should that situation arise. With the present appeal, SkyHawke is merely trying to preempt an unfavorable outcome that may or may not arise in the future and, if it does arise, is readily appealable at that time. Therefore, the Federal Circuit found no reason to deviate from the standard rule counseling against our review of prevailing party appeals. the inventor maintained control of the invention –retaining title, and the manufacturer was not authorized to sell to third parties. “stockpiling” inventory without more does not trigger the on-sale bar. Even though this case applies to the pre-AIA version of §102, it will have relevance for many years until the last of the pre-AIA patents expire. It seems that the majority of patent applications, including those that eventually issue as patents, face a “final” rejection at some point. However, “final” does not not always mean final, and there are at least eight possible responses to a final rejection. As much as patent prosecutors hate to admit it, every once in a while the Patent Examiner is right, and the only reasonable response to the Final Office Action is to abandon the application. An amendment touching the merits of the application or patent under reexamination may be admitted upon a showing of good and sufficient reasons why the amendment is necessary and was not earlier presented. Generally, an Examiner will not permit an amendment unless it complies with 37 CFR §1.116. Examiners have no incentive to give any substantial attention to a response after final, and they are rarely effective unless they fully comply with the requirements set forth in the Final Rejection. If an applicant wants to continue to prosecute the application, presenting additional arguments and evidence, or amending the claims, then the applicant can request continued examination under 37 CFR §1.114. If an applicant timely files a submission and fee set forth in §1.17(e), the Office will withdraw the finality of any Office Action and the submission will be entered and considered. 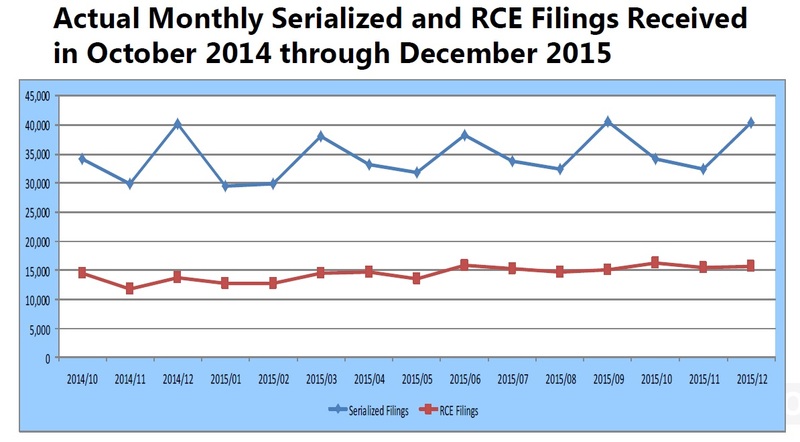 The USPTO treatment of RCE’s has changed over time — in 2009 the USPTO changed the Examiner’s incentives to handle RCE, which resulted in a large backlog, but various changes in USPTO policies have resulted in a steady decline in pendency. An application is always free to restart the application process by filing a continuation application. Unlike an RCE which keeps its original serial number and filing date, a continuation application is a new application, which is assigned a new serial number and filing date (although it claims priority to the parent application). Continuation applications are put at the bottom of the examination pile, and are a good choice for an applicant who wants to keep the application alive, but is not in a position to provide a complete response to the final rejection, which would be required to file an RCE. A response under 37 CFR 1.116, including an amendment to at least one independent claim that does not broaden the scope of the independent claim in any aspect. In response to the AFCP submission, the applicant will receive an AFCP 2.0 response form (PTO-2323) that communicates the status of the submission. If the applicant requested an interview, the the form will also be accompanied by an interview summary. One can request an examiner interview after final in the ordinary course, but it is up to the discretion of the examiner as to whether to grant that interview request. Here, under the AFCP 2.0 program, the examiner is given additional time to search and/or consider the response, but also it gives applicants an additional opportunity to discuss the application with the examiner, if the response does not place the application in a condition for allowance. To date, the USPTO has not published statistics on the AFCP 2.0 program. A new alternative for patent applications beginning July 11, 2016, and extending to January 12, 2017, is the Post-Prosecution Pilot Program or P3 Program. The P3 Program provides for (i) an after final response to be considered by a panel of examiners (like the Pre-Appeal Brief Conference), (ii) an after final response to include an optional proposed amendment (like the AFCP 2.0), and (iii) an opportunity for the applicant to make an oral presentation to the panel of examiners (new). (Optionally) A proposed non-broadening amendment to a claim(s). System-Web (EFS-Web), and the applicant must not have previously filed a proper request to participate in the Pre-Appeal program or a proper request under AFCP 2.0 in response to the same outstanding final rejection. The program ends when a total of 1,600 P3 Program requests have been accpted (200 per art unit), or January 12, 2017 whichever occurs first. 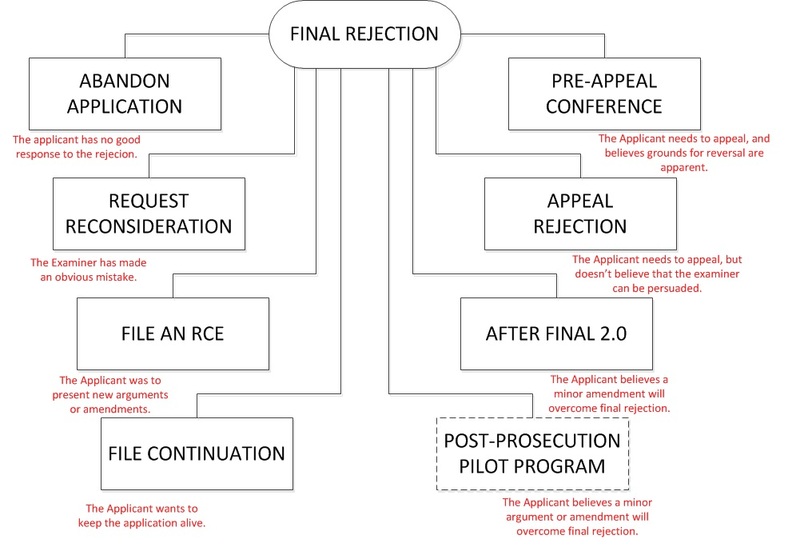 For applicants who have made all the amendments they are willing to make, and presented all of the arguments it has, the is one last stop before an full-blown appeal to the Patent Trials and Appeals Board: the pre-appeal brief conference. The request must be filed with the Notice of Appeal, and can include up to five pages of reasons why the final rejection is incorrect. The point of the pre-appeal conference is that the Examiner must discuss (hence “conference) the final rejection with at least two other Examiners. The hope of applicants, of course, is that the two other Examiner’s will provide a voice of reason so that the final rejection will be withdrawn and the case allowed. However that is only one of the possible outcomes. In 2015, IP Watchdog posted the results of a FOIA request for data on the effectiveness of the Pre-Appeal Brief Conferences, the data showed that of the non-defective requests, only 6% resulted in an allowance. 61% of the time, the conference panel decided that there was an issue for appeal. 33% of the time, the conference resulted in a reopening of prosecution, which is at least a partial victory for the applicant. Drilling down a little further, of the 61% of applications where the Pre-Appeal Brief Conference found an appealable issue, 58% of these applications eventually issued as patents. Of the 33% of applications where the Pre-Appeal Brief Conference reopened prosecution, nearly 80% of these applications eventually issued as patents. This data represented the ten years’ experience between when the program began in 2005 through 2015, although the trend since 2009 has been an ever-increasing percentage of Pre-Appeal Brief Conferences finding an appealable issue. After all the amendments have been made and arguments presented, an applicant is left with no choice but to appeal, The cost of an appeal is not insignificant, with a Notice of Appeal Fee, the cost of preparing the Brief on Appeal, and the Appeal consideration fee, an applicant can easily spent $8,000 to $12,000, before oral argument. The time involved is also considerable — typically three to four years. 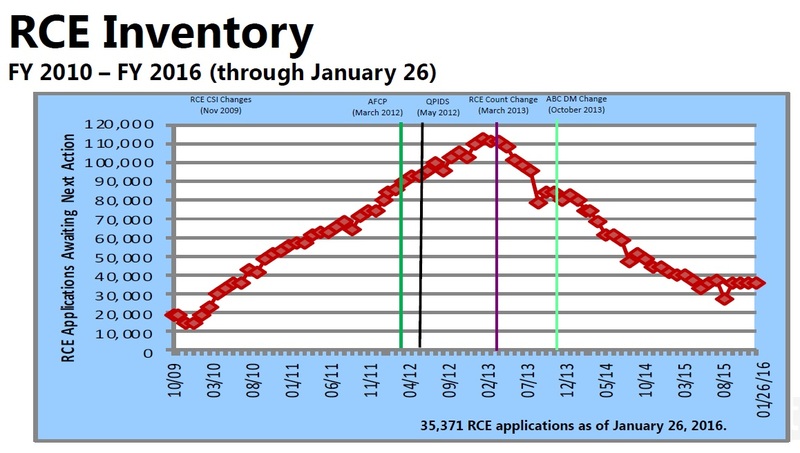 The current (2016) success rate is about 40%, with Examiner being affirmed about 58.2% of the time, being reversed about 28.0% of the time, and partially reversed another 12.8% of the time. In Amgen Inc. v. Apotex Inc., [2016-1308] (July 5, 2016), the Federal Circuit affirmed a preliminary injunction against Apotex from entering the market until 180 days after giving Amgen Notice after receiving its FDA license. The Federal Circuit held that the commercial marketing provision of the Biologics Act was mandatory.